Some topics just aren't that funny. Doomsday, discrimination, bad film directors... are these eternally depressing subjects? Our examples this week didn't think so. They all turn potentially sad topics into smart, funny video adverts. Keep scrolling for a dash of humour in this week's Video Worth Sharing. Ever thought about the end of the world? It might look something like this. 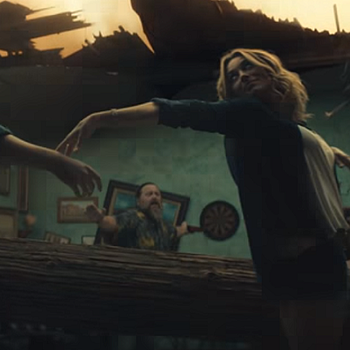 This beautifully-shot ad from tequila brand Jose Cuervo is full of fun and laughter with a bittersweet edge. It's a heartwarming message from a business that just wants you to enjoy your time on this earth. Turning discrimination into something funny might seem like an impossible task. Here it's handled with skill and feeling through some excellent acting and a ridiculous metaphor. Keep watching for a funny aside at the end that's the cherry on top. The concept for this advert is its sustaining force, but a clever twist at the end is what makes it really work. The attention to detail is impeccable and sells the idea even before you fully understand what you're watching. It's funny without ever going over-the-top.